Don’t get me wrong. I love a classic peach pie, especially in the middle of the summer when peaches are in season. (And we all love Gram.) 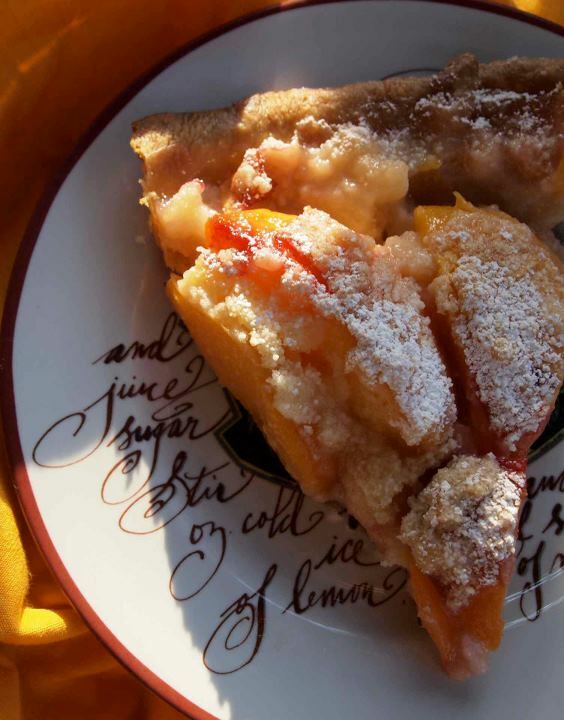 But, a friend of mine sent me this recipe last year and she said, “it’s not your typical super sweet peach pie – it’s a little different…I think you’ll really like it.” Um, yes. I loved it. 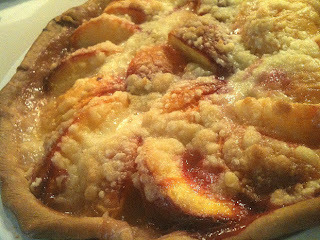 So, my advice: Make this peach creme fraiche pie, hon. It’s easy, gorgeous and delicious! Make your crust, too, if you can. I don’t always have time to make my own (God bless those food engineers), but sometimes it’s fun and pie purists say it’s the only way to go. Here’s a great tutorial from Smitten Kitchen.If you do want it on the sweeter side, try adding an extra tablespoon of sugar or even sprinkle a little confectioners sugar on top. And…there’s always vanilla ice cream.